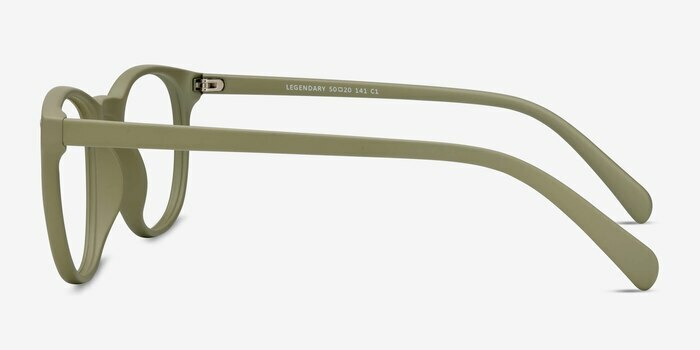 Legendry's wayfarer shape is classically cool. 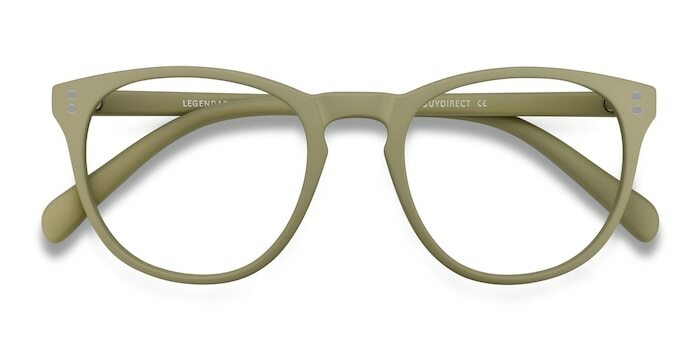 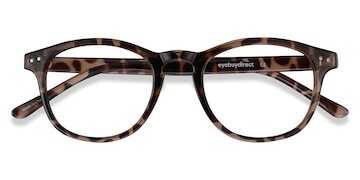 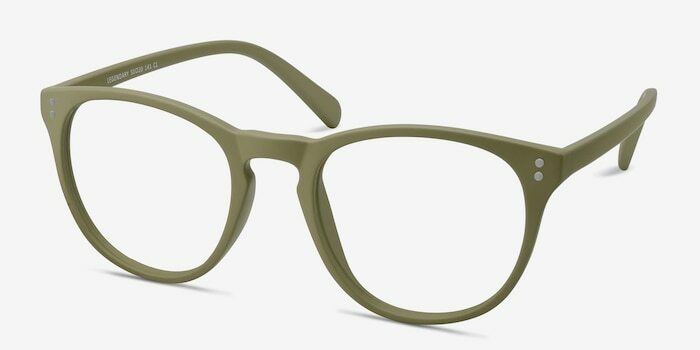 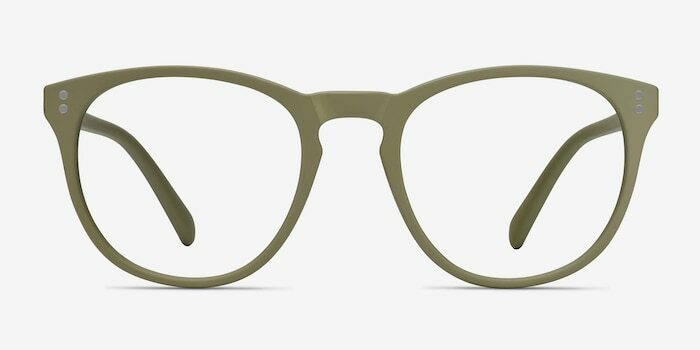 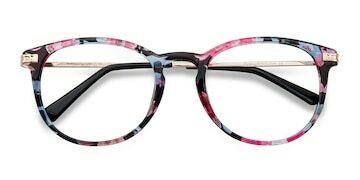 This pale, matte olive frame features squared lenses, a keyhole nose bridge, and metal accent studs. 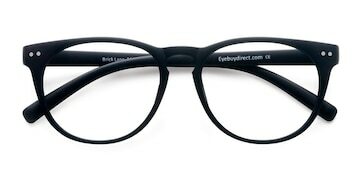 These specs are great for any retro look.